Afraid of encountering an intruder, in your home or office? Terrified that, your valuables may be taken by un welcomed individuals who break and enter into your home. You need not be scared anymore. Let Payless Locksmith take your fear away. With our Locksmith Security Solutions and modern, efficient hardware plus well-trained caring personnel, we will address all your security needs. 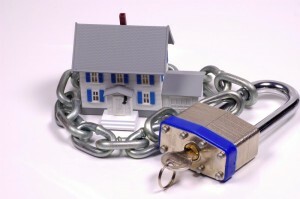 We also cater to commercial locksmith to insure that offices and big companies stay safe. We guarantee you the best Locksmith Security Solutions for whatever needs you may have. For your home or office needs, we recommend the use of the captive deadbolt. This Locksmith Security Solutions is a sure fire, way of preventing intrusion into your privacy. your precious possessions and even keep your important files and documents safe. 24 hours 7 days a week Payless Locksmith will accommodate all your inquiries regarding securities of your home and office. Recommendations on the best option or the most efficient Locksmith Security Solutions will be provided to optimize the safety of your home and office. A worthy Locksmith Security Solutions being employed nowadays is the captive deadbolt. This is a special lock and key. Benefits include protection as a double cylinder deadbolt and comfort and easy usage as a single cylinder deadbolt. Medeco and Mul-ti lock , manufactures these great solutions. To make the double cylinder captive deadbolt work, all that needs to be done is insert the captive key and the lock will work as a single cylinder with a thumb turn. It is now effortless to lock and unlock the door. Isn’t this a great Locksmith Security Solutions? If you would like to remove the thumb turn to the key from inside the cylinder, just to place a regular operating key, in the cylinder. Move the key 90 degrees in either direction. An advantage of using the double cylinder deadbolt is it is a fail-proof Locksmith Security Solutions. Intruders will have second thoughts of breaking your window. Your door can be unlocked even if he reaches through. Another great Locksmith Security Solutions is making use of window bars or grills and film. Although bulky, window grills protect your place and they help lower risk of window breakage. Intruders will not be able to break into your home. Locksmith Security Solutions films have many advantages too. Films prevent forced entry. They protect you from ultra violet rays of the sun. We are all aware that too much exposure to these rays may cause skin cancer. In case the glass breaks, you are assured of no mess. No need to pick up glass cubes from displays. Water, snow or wind cannot enter too in case of glass breakage. Whatever it is you need, Payless Locksmith will be ready to provide you. We will provide you with the best solution at a reasonable value. We will work out a plan which will maximize your security without hurting your pockets. That is an assurance we give you. Don’t hesitate! Your safety and protection is our concern. Please dial 905-660-1987 for your inquiries and we assure you the best Locksmith Security Solutions.